January 30th is a FRIDAY...which day is this on? VeilLifter on Sun, 01/11/2009 - 1:15am. It's on Friday the 30th. I copy & pasted the time/date information from an email I had. enigs on Sun, 01/11/2009 - 1:31am. Is it possible to get a distributor for LCFC? Just wondering if you guys are still trying to get a distributor for the movie. Given the film's success it looks like someone would be willing to pick it up for at least a limited theater release in the US. Keep trying! With a one million dollar + production effort it seems more than worthy. RL McGee on Mon, 01/12/2009 - 6:03pm. What's with the $20 bill? 9+11=20? 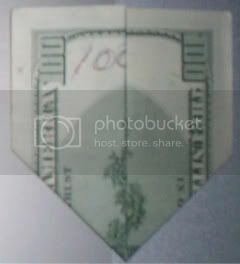 Are there really images of the Twin Towers burning and the Pentagon strike on $20 bills folded into the shape of a plane? constitutional911 on Sun, 01/11/2009 - 4:40am. Looks like a sick joke to me, created by a megalomaniacal hubristic elite back during the time when they believed they were untouchable and could get away with anything. Dem Bruce Lee Styles on Sun, 01/11/2009 - 10:42am. All the more reason to get rid of the Federal Reserve. constitutional911 on Sun, 01/11/2009 - 11:09am. Aidan Monaghan on Mon, 01/12/2009 - 5:56am. NEW YORK (CNN) -- Yankees pitcher Cory Lidle and his flight instructor were killed Wednesday when the 34-year-old ballplayer's plane crashed into a high-rise apartment building in New York, city and baseball team officials said. No residents at the Belaire Condominiums at 524 E. 72nd Street near the East River were injured. My aunt has resided in the building directly next door to the one struck by Lidle's plane for over 20 years. Nearly as strange as my very late drive home from Wilmington, NC in 2005 to my then residence in Pittsburgh, PA when I missed my exit in Washington, DC, pulled off at the next available exit to turn around, which just happened to be the one at the very spot where AA 77 struck the Pentagon. Aidan Monaghan on Mon, 01/12/2009 - 6:20am. Sheila Casey on Mon, 01/12/2009 - 3:06pm. Sometimes coincidences are just that; coincidences. I mean how long ago were these bills designed and what kind of prescience or clairvoyance would someone need, to design those ambiguous images on the bills. I think credit goes more to whoever did the creative fold job that revealed the images in the first place. Either that or God has some bizarre sense of humor when He/She inspired the bill designers to unwittingly place the images on the bills. Phaedrus on Mon, 01/12/2009 - 6:54pm. That trick works with the $5, $10, $20, $50, and $100. It shows the whole collapse sequence (IN SEQUENCIAL ORDER! Start to finish, lowest denomination to highest.) 3 of the 5 denominations show the Pentagon on the back. Work out the probabilistic likelyhood of that being a coincidence, all you math geeks out there. CONSCIOUSNESS on Sun, 01/11/2009 - 1:00pm. REASON to WIPE the smile off the faces of the Federal Reserve thugs. constitutional911 on Sun, 01/11/2009 - 1:26pm. Is there some waty to show it with photos? Hey Consciousness, can you photograph and show us! Joe on Sun, 01/11/2009 - 2:06pm. Just ask a math whiz (statistician?) to work out the probability that this is a random event / phenomenon. I'll guarantee you this is 99.99% sure to be non-random. I'm sorry, but the wonderous interweb won't let me resize those images properly. The $50 shows the Towers crumbling, and the $100 shows nothing but a smoking pile. Try it for yourself. CONSCIOUSNESS on Mon, 01/12/2009 - 11:09pm. 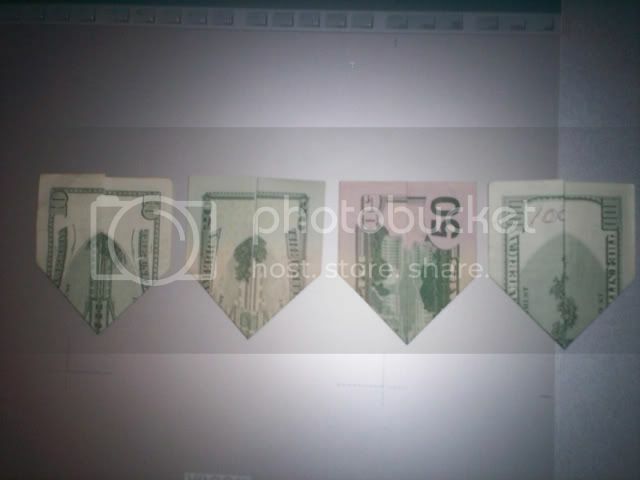 All subjective of course, but definetly unlike the non-folded or non-bent corresponding objects on other bills and consistent with sequence of events. Aidan Monaghan on Tue, 01/13/2009 - 1:17am. CONSCIOUSNESS on Wed, 01/14/2009 - 12:31am. constitutional911 on Wed, 01/14/2009 - 11:55am. Does this origami exercise require more than one $20 bill? 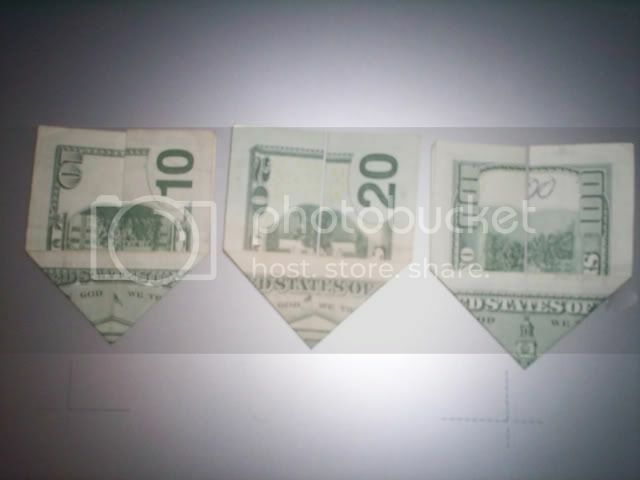 I've got a $20 and have tried folding it various ways. Does not seem to be possible to create the images seen in the original post (on the LCFC flyer) with one $20 bill. But spatial orientation is not my strong suit--was anyone able to do it with just one twenty? Sheila Casey on Wed, 01/14/2009 - 3:31pm.